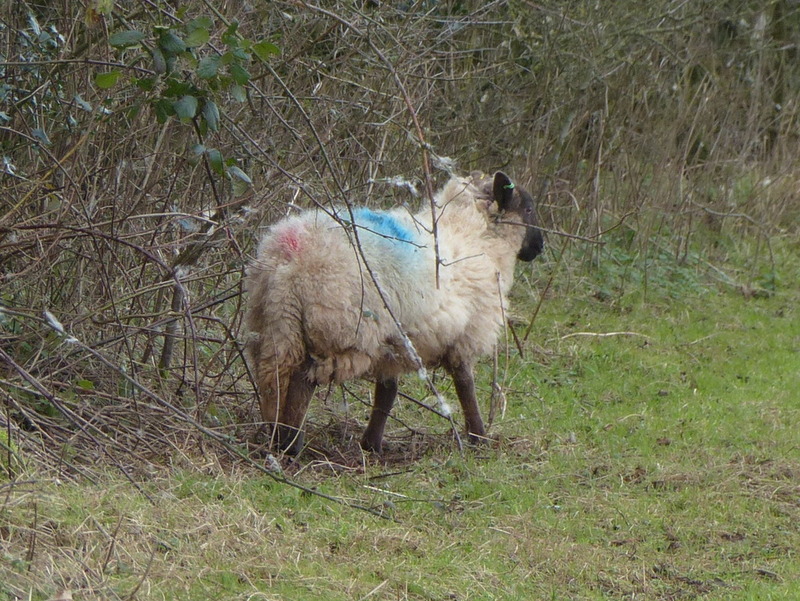 Little Bo Peep has lost her Sheep and doesn’t know where to find them…..
It’s a good job that I’m here then. You search the hedges, I’ll look down the Mole hills. Shut up Fizz. 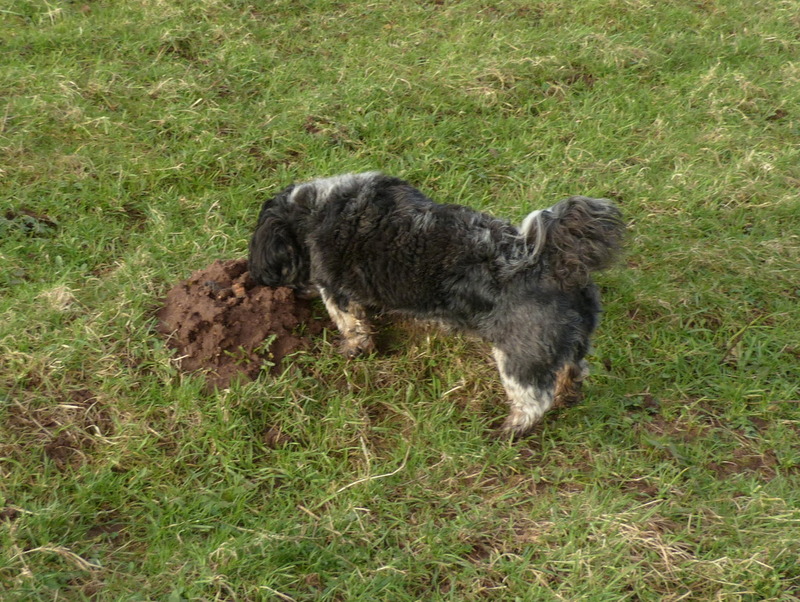 She is not going to be down a Mole hill! 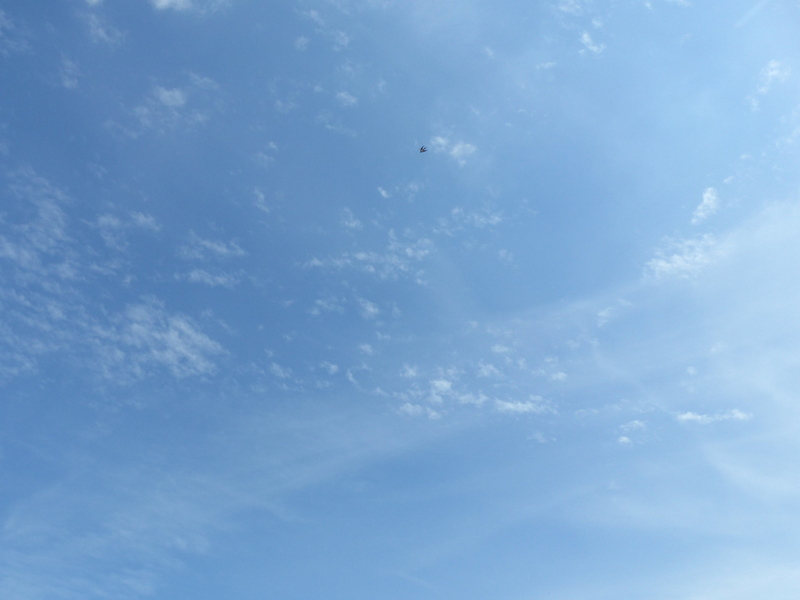 And so it goes on…. we lose our Sheep and then we find them. 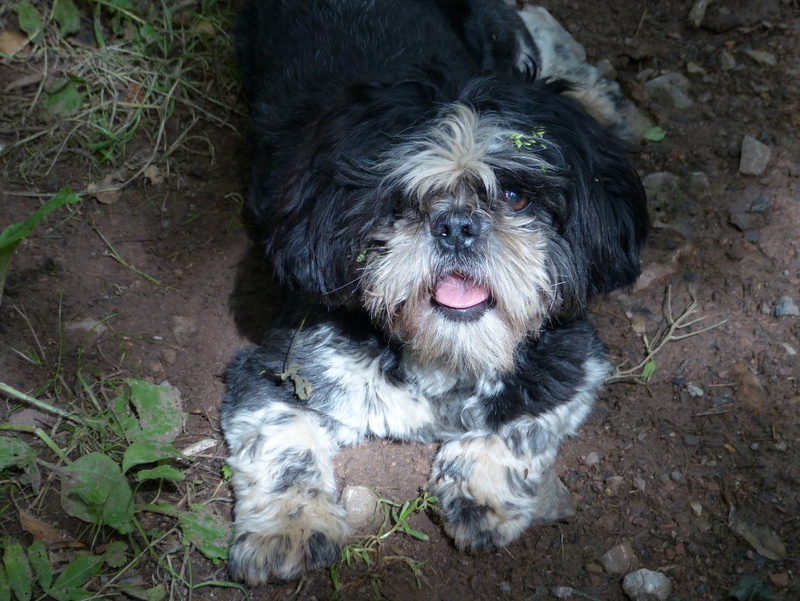 It is a good job that I have got such a clever tracking dog. For anyone who hasn’t seen her in action here is a quick video demonstration of Fizz’s awesome search and retrieve skills. You just have to have faith, if you are lost then she will find you. Well it rained all day today and I don’t have much to show you. This is one of my flower posts that I wrote yesterday. 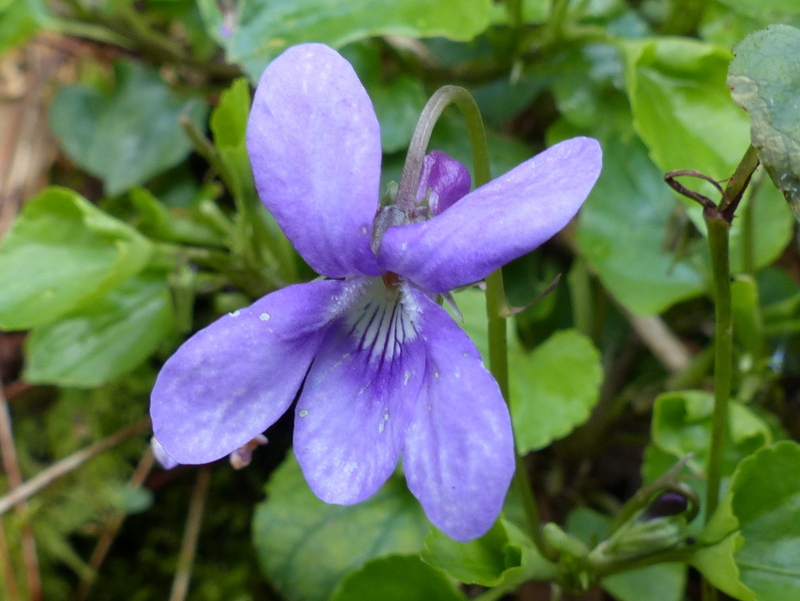 There are three little violet flowers called Dog Violets in the UK, they are the Early Dog Violet, The Common Dog Violet and the less common Heath Dog Violet. They can all hybridise and so telling them apart isn’t always easy but they do each have distinctive characteristics. 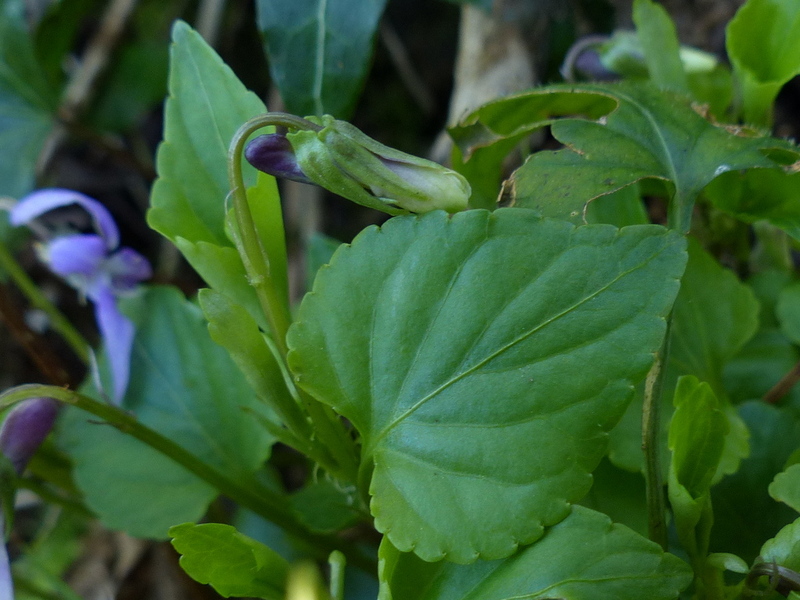 As it’s name suggests the Early Dog Violet flowers first, about three weeks before the common one. I took this next picture on March 16th and as you can see the flowers were already well established. 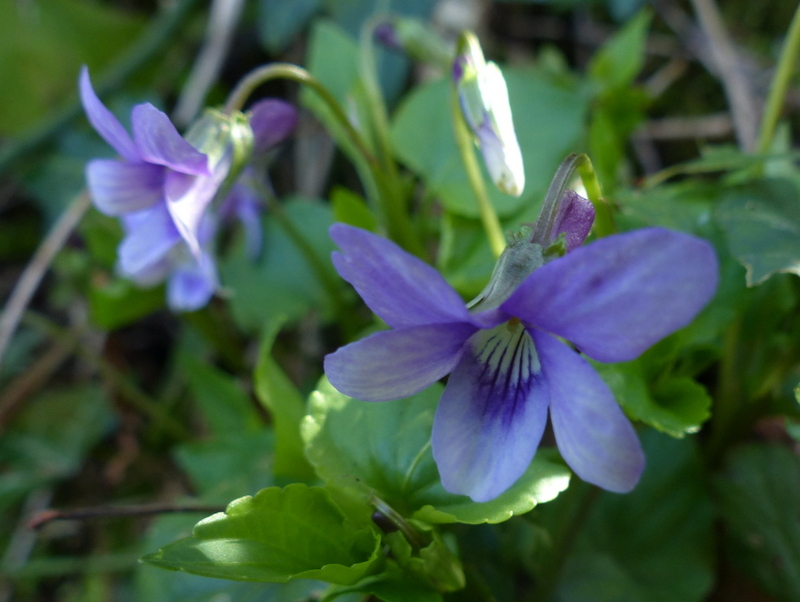 I didn’t see a Common Dog Violet last year until March 30th, so if you see a Dog Violet early in March it is probably this one but you don’t have to guess. 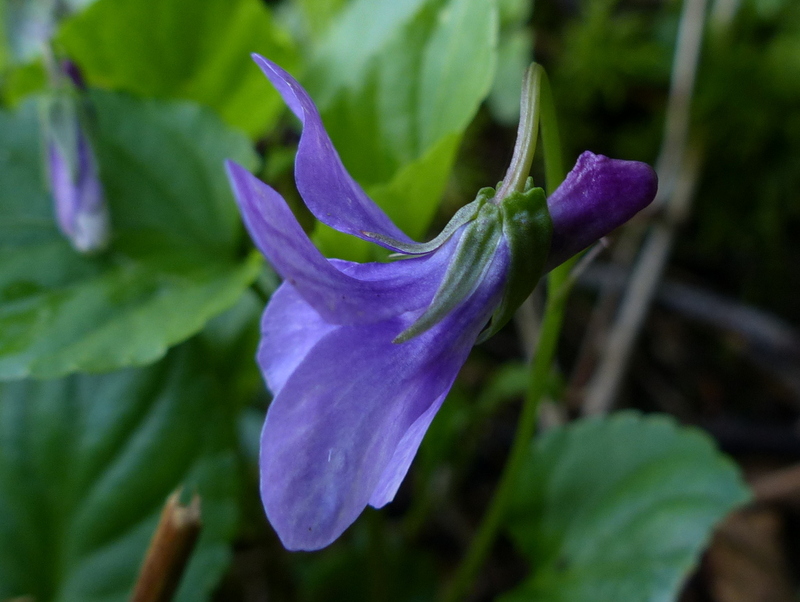 The Dog Violet has a spur behind the flower and with the other two species the spur is lighter than the petals. 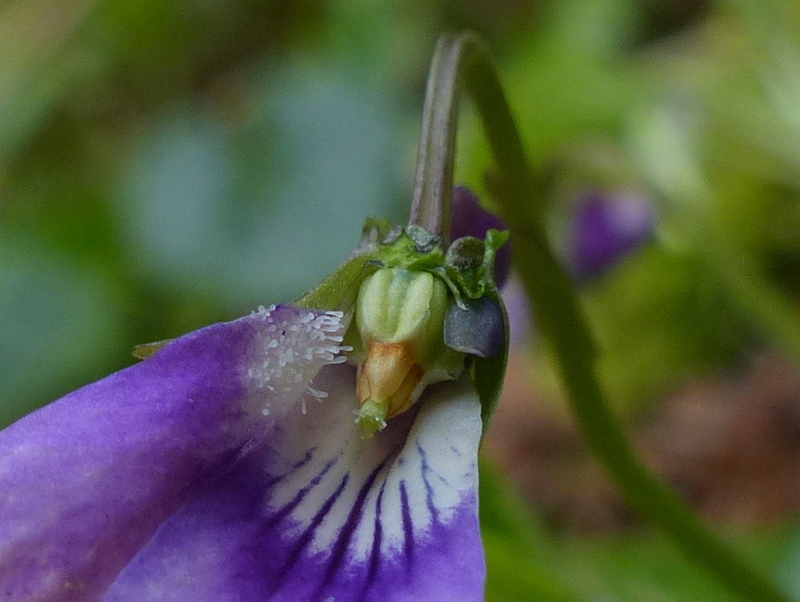 The Spur on the Early Dog Violet is darker than the petals. For comparison this next picture is a Common Dog Violet with a much lighter spur and the Heath Dog Violet is also lighter and quite yellow. The other easy to spot difference is with the markings on the lower petal. 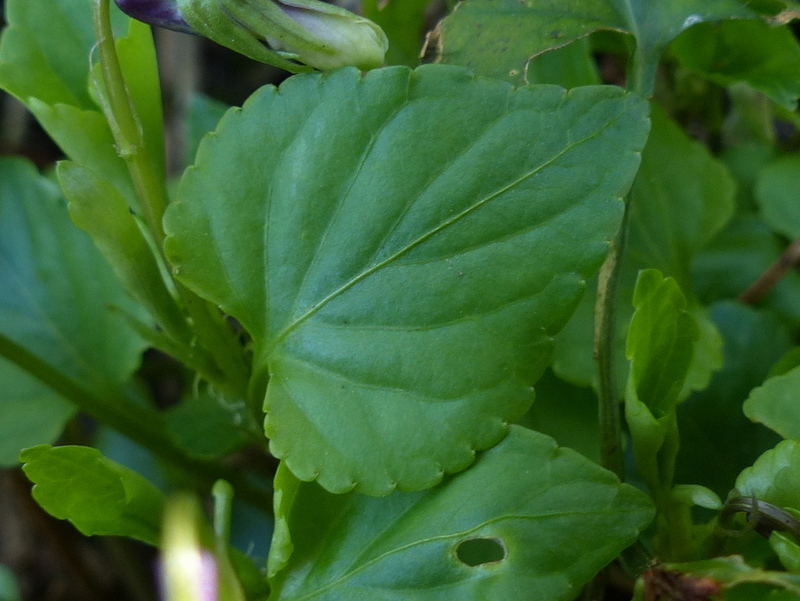 These lines serve to direct insects to the nectar and they are much less pronounced on the Early Dog Violet. 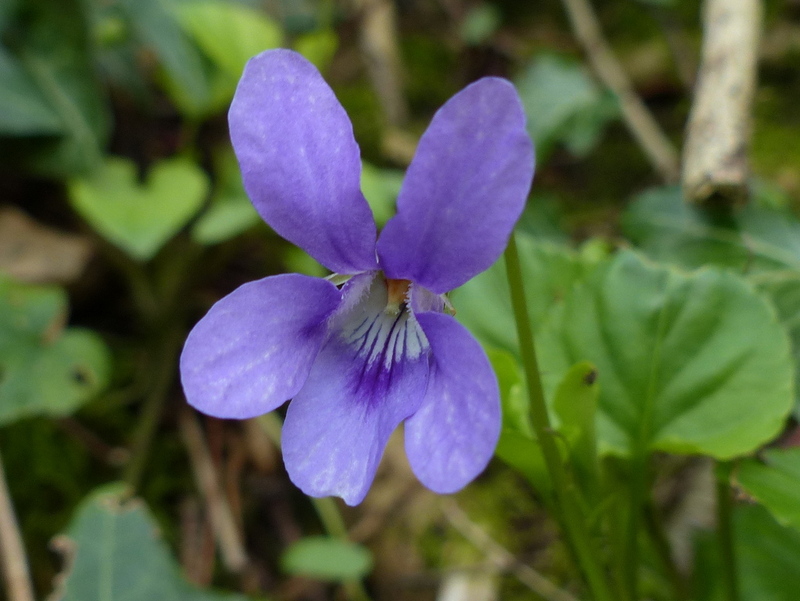 Again for comparison this next picture is a Common Dog Violet, The Heath Dog Violet is vividly marked like this too. Okay the difference is relative and not always easy to spot if you don’t have another flower to compare with but bright, intense markings would immediately make me look at the spur. 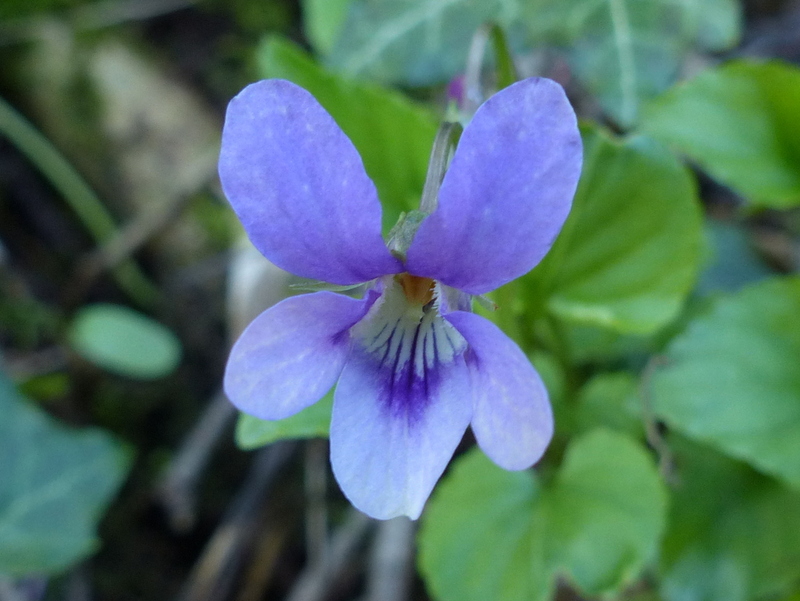 The Early Dog Violet, Viola reichenbachiana. V. reichenbachiana is a bit of a mouthful. It is named after a German Botanist, Heinrich Gustav Reichenbach, who specialised in Orchids. He has actually got about a dozen different flowers named after him but someone must have felt that he needed a Violet. 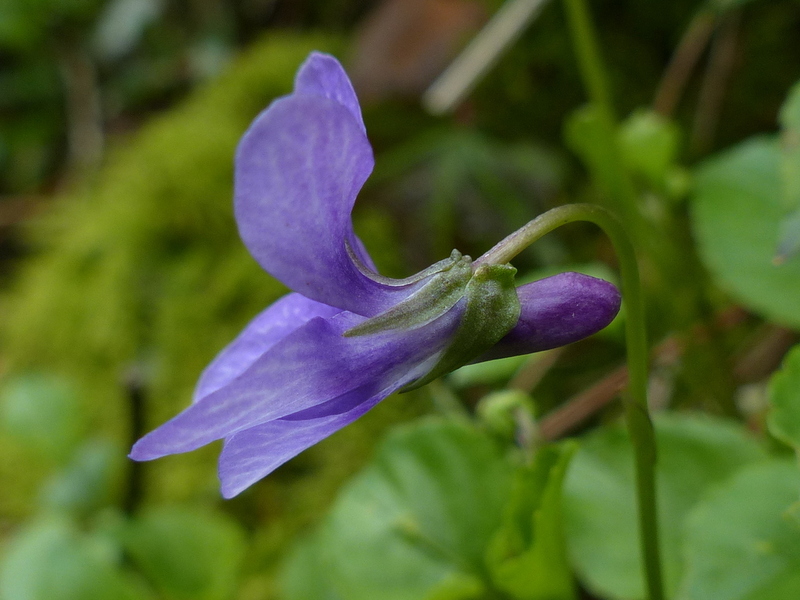 Violets have a complicated reproductive strategy that isn’t really relevant to identifying the flower but it still makes for an interesting read. The best explanation that I have found on the web is here. That article goes some way to explaining why the inside of a violet looks like this. 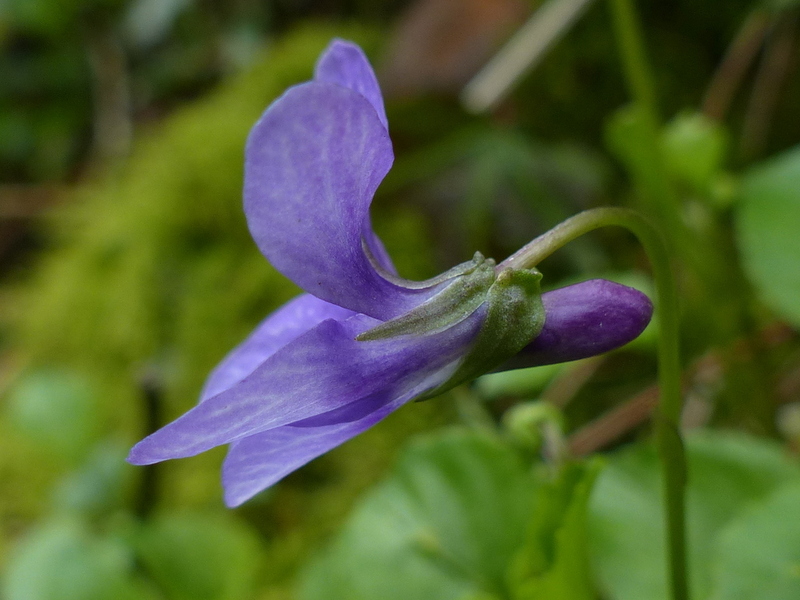 Basically the Violet has two different types of flower. The open flowers that we are familiar with are specially designed to achieve cross pollination. 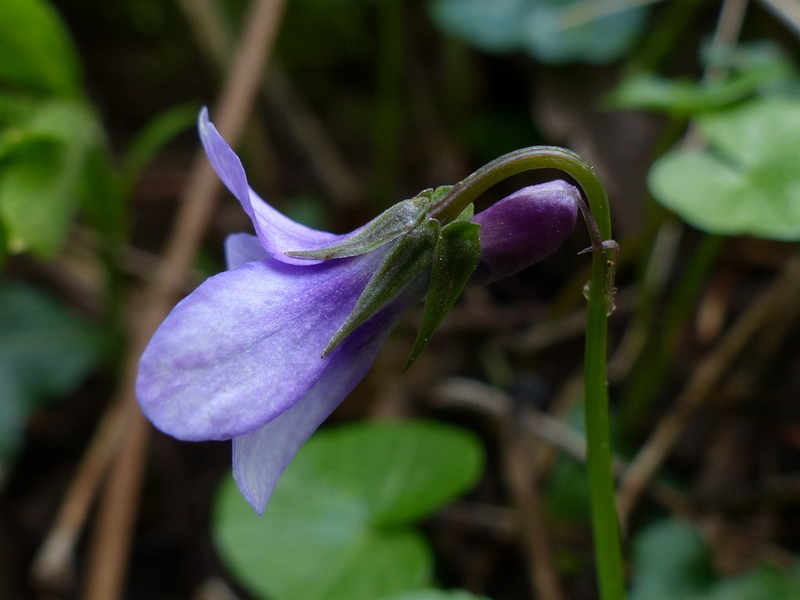 Violets are hermaphrodite and capable of self fertilisation but the open flowers are carefully designed to avoid that, however the majority of seed produced is self pollinated. To achieve this the Violet produces another sort of flower. These are small flowers that will never open, they are self fertile. 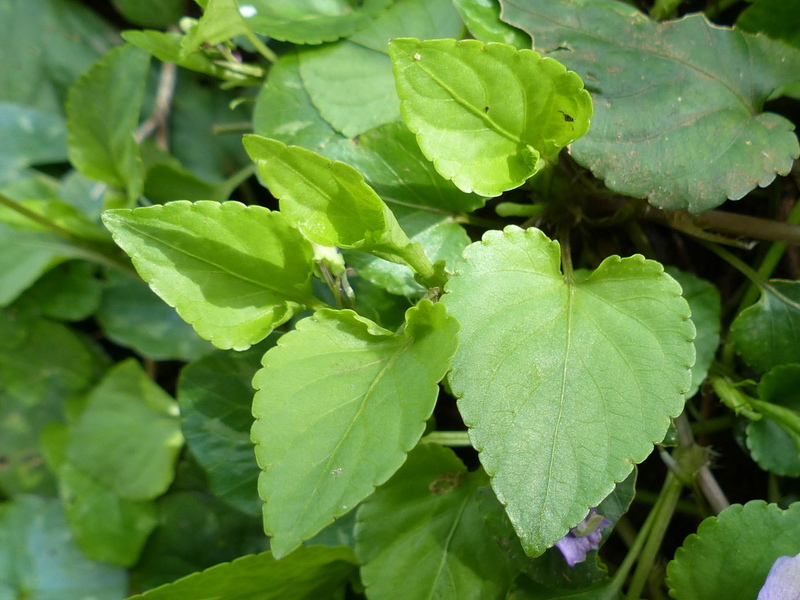 They appear as the plant matures and they are actually responsible for most of the seed production. The plant seems to go to a lot of trouble to try and cross pollinate when it doesn’t really have to but it is thought that even a small amount of cross pollination benefits the gene pool. 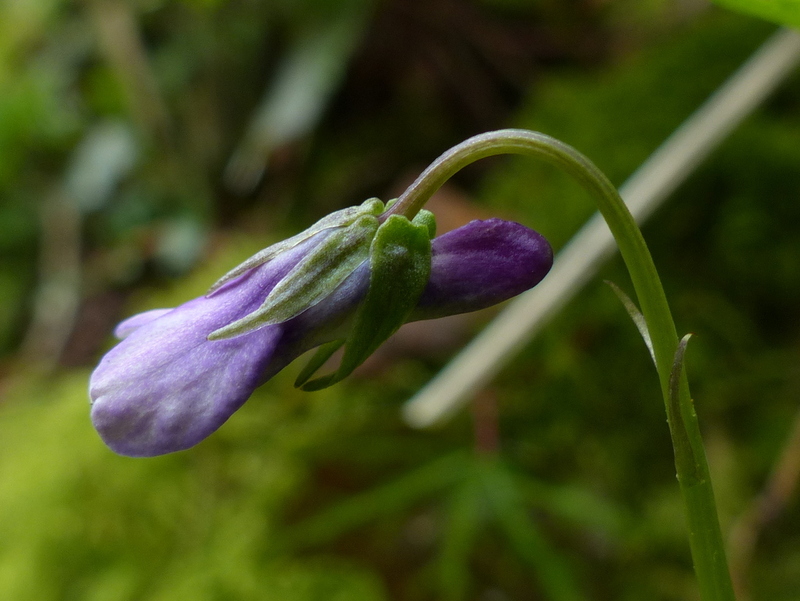 Early Dog Violet has a long stem bearing a single flower. 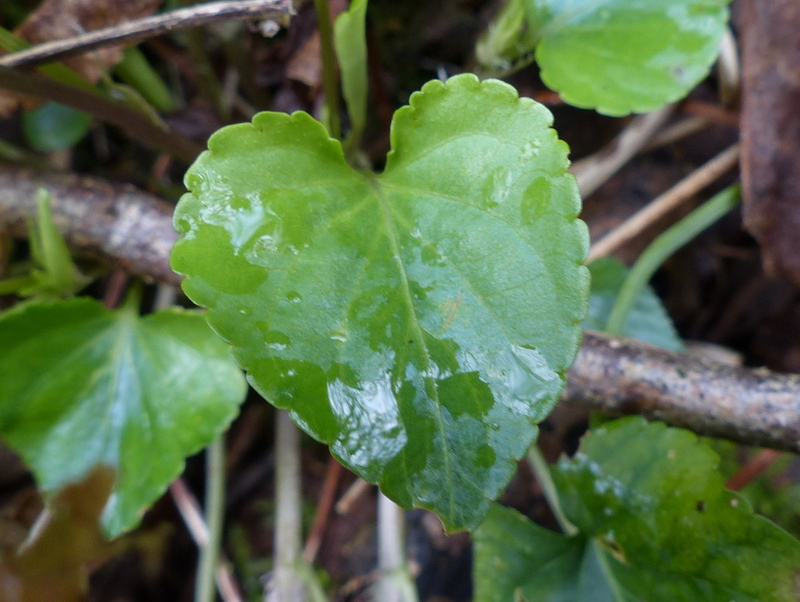 The leaves are heart shaped with finely scalloped edges. 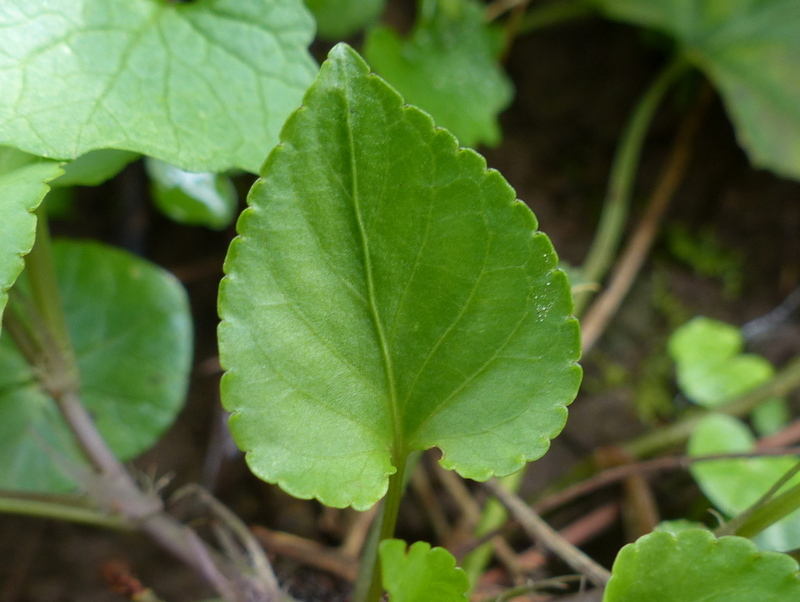 It grows in shady woodlands, hedgerows and coppice. 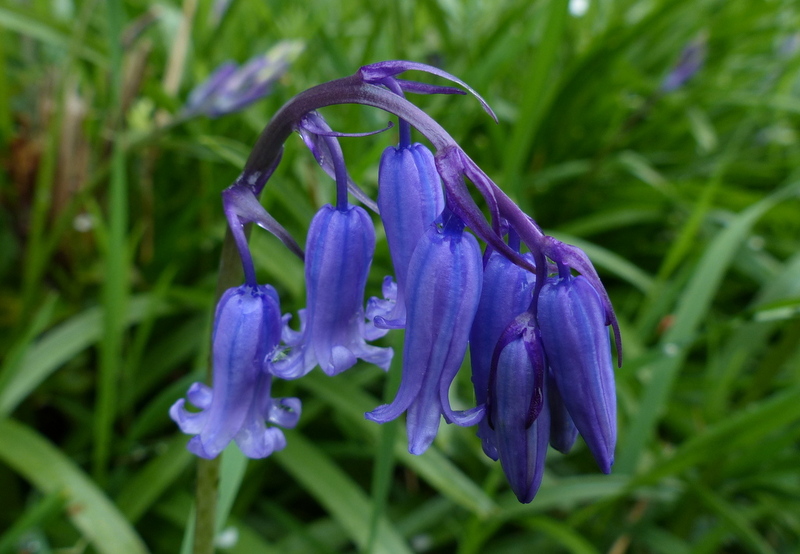 It is native to the UK, more common in the South and almost absent from Scotland. Previous PostRiding in ThunderbirdsNext PostYellow Snow Alert! Your grandmother must be a real cutie. Thank you Becky 🙂 Big eyes, a sweet face and a wisp of grey hair? Thank you Emily 🙂 She seems to enjoy looking for it more than she enjoys actually finding it. Thank you Barbara 🙂 She is really very brave, pushing through a jungle of tall grass with no idea of what might be ahead of her. It is a wonder that she can find anything. A troll, that will be a good thing. Tell Fizz she’s so cute that she should be in the movies. 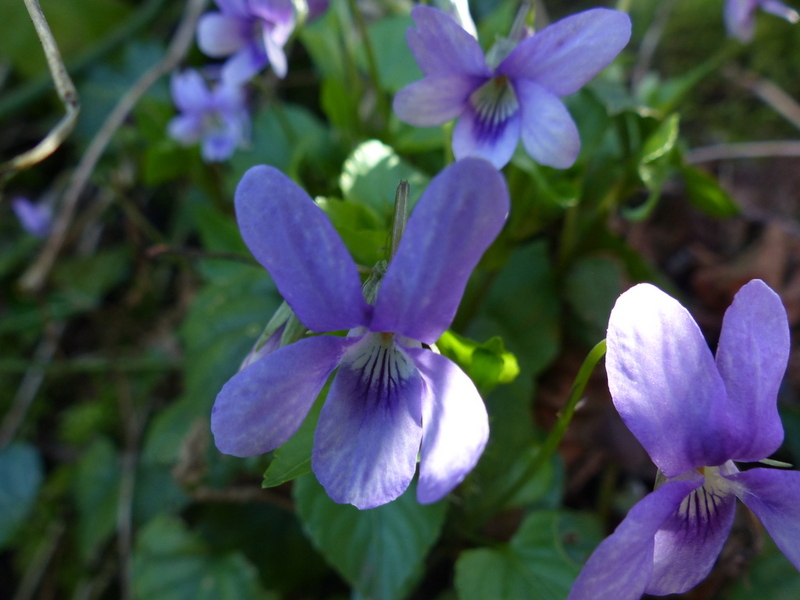 Love the violets; such delicate little flowers. Thank you Sarasin 🙂 It is always fascinating to see what is wandering around the forest at night. Your posts are always great! Happy Trails! The video was fun. I think she knew where it was, but she just wanted to be on film longer. Thank you Dan 🙂 She enjoys the game of searching for the ball. The video made me laugh! Fizz is no Shrinking Dog Violet. 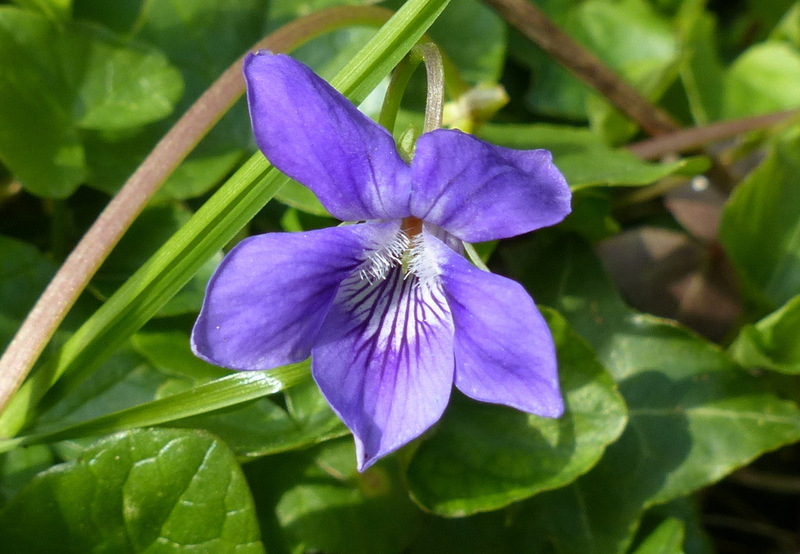 I liked the dog violet info and the photos are superb as always. Fizz isn’t retired sniffer dog then? Are dogs like birds? For example Curlews and Godwits “hunt” by touch, poking their bill deep into the mud, whereas Plover tend to look stupid, but are actually diligently searching by eye. 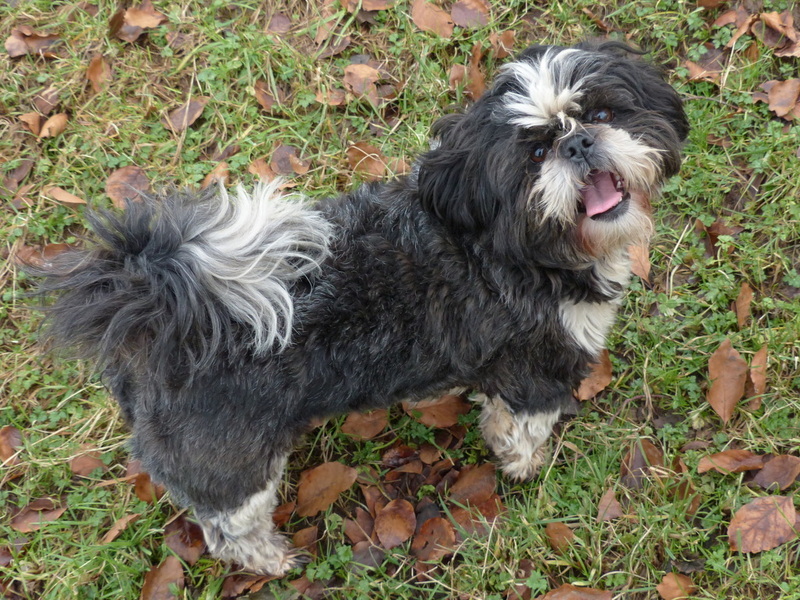 All I know about dogs can be written on one short blog post. Thank you Stephen 🙂 All of the other dogs that I have known watch where the ball is going and then close in on it by nose. Fizz tries but there is a lot of luck involved and it is a good idea for me to keep an eye on where the ball has gone. We lose a lot of balls. 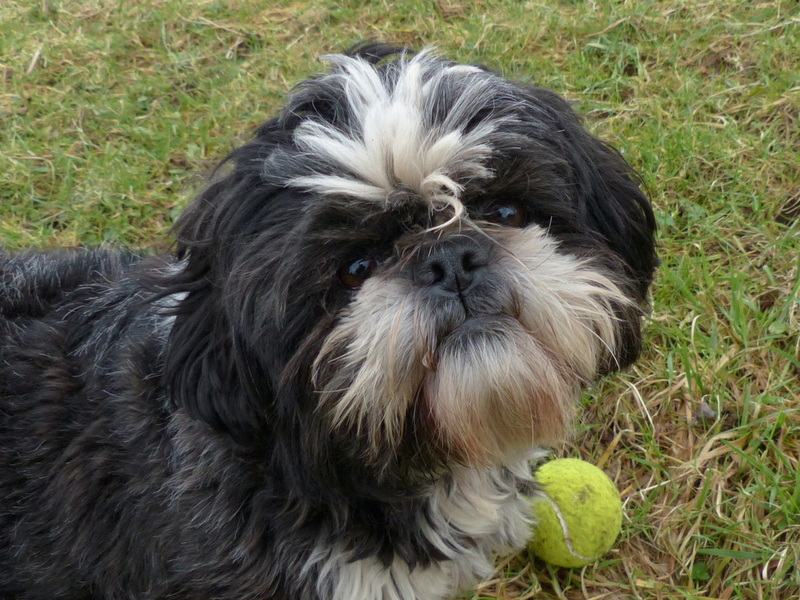 Do you think Fizz’s nose is compromised because of her being short-nosed (brachycephalic)? She seems to take it in stride! 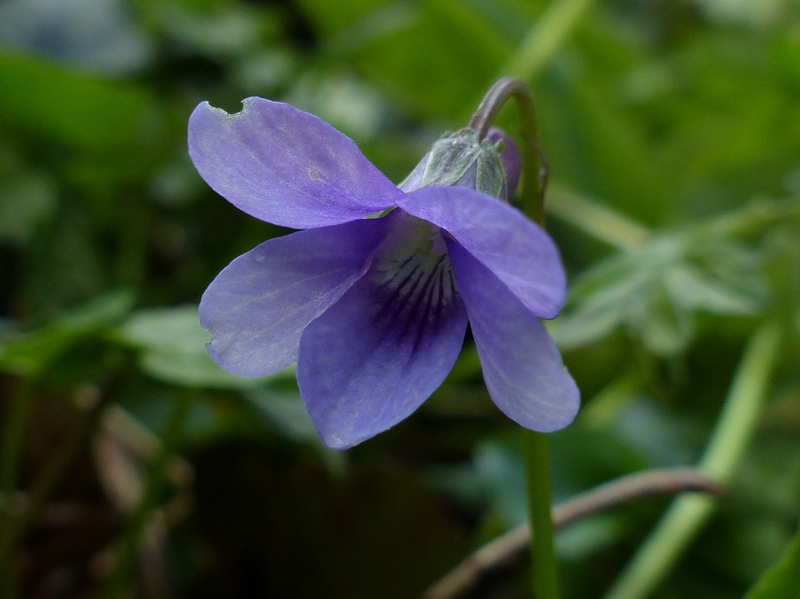 I love your explanations of violets – you make it easy to see the differences. 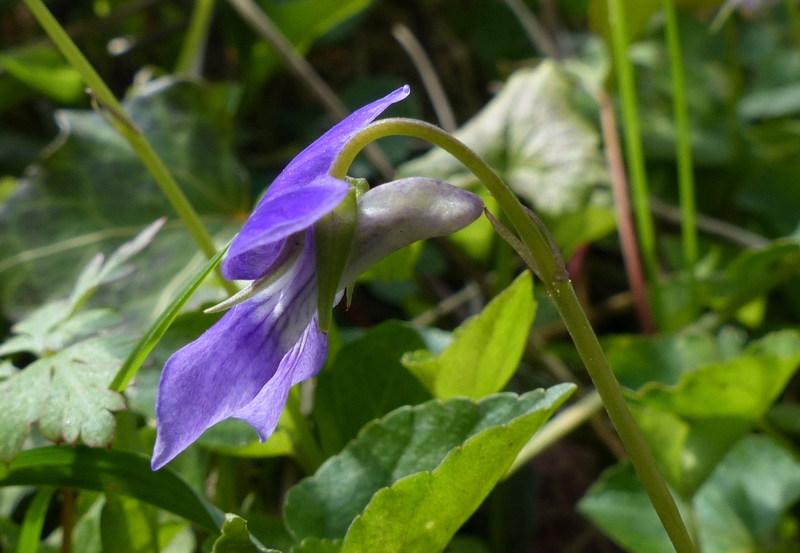 My lawn is covered with dog violets every May and I hold off mowing just so I can enjoy them. Clever Fizz, with all eyes on her for the video. 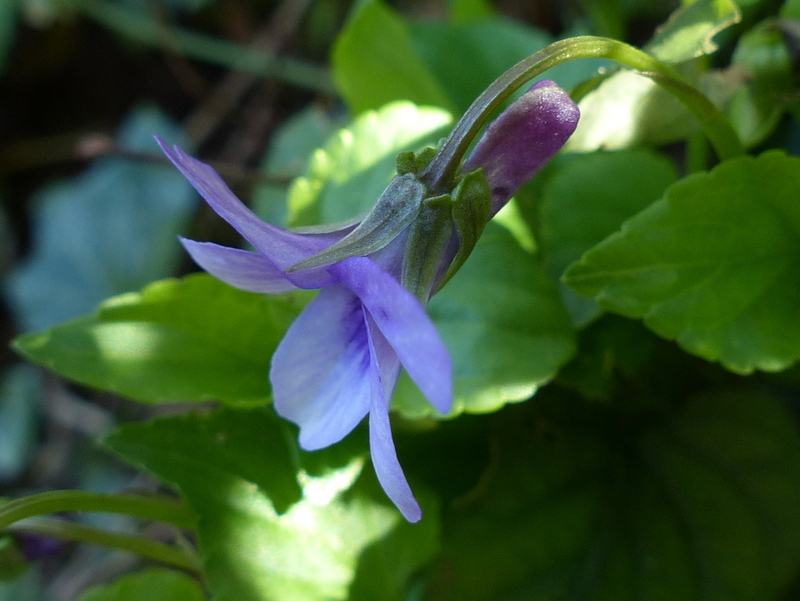 I wonder if these little Dog Violets are the same as the ‘Johnny Jump-Ups’ that would self seed and spread all over my flower beds… such sweet little flowers. Thanks Joy 🙂 If not the same then they are probably a close relative. 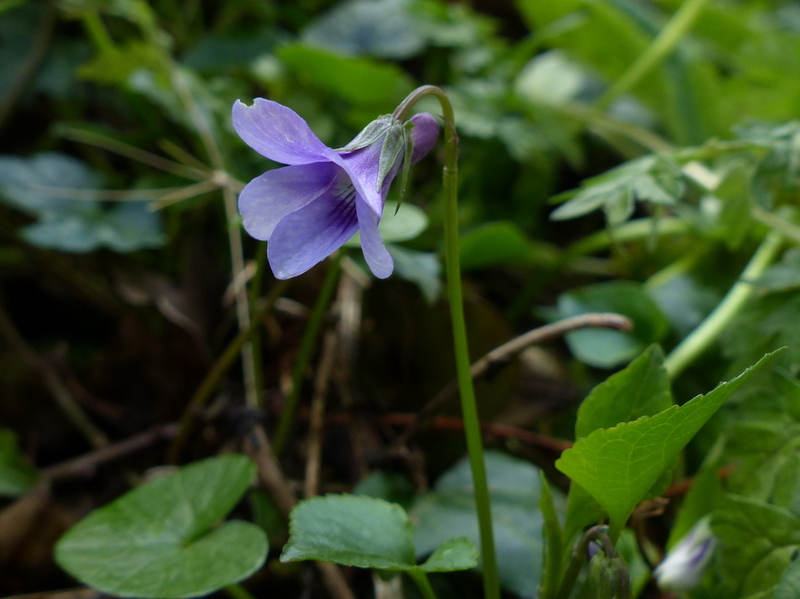 There are a few Viola species given the name Johnny Jump Up in the US. This one tends to grow in woodland and likes a bit of shade. Ah that old Joe Cocker song, “I’ll find the ball with a little help from my friends”. 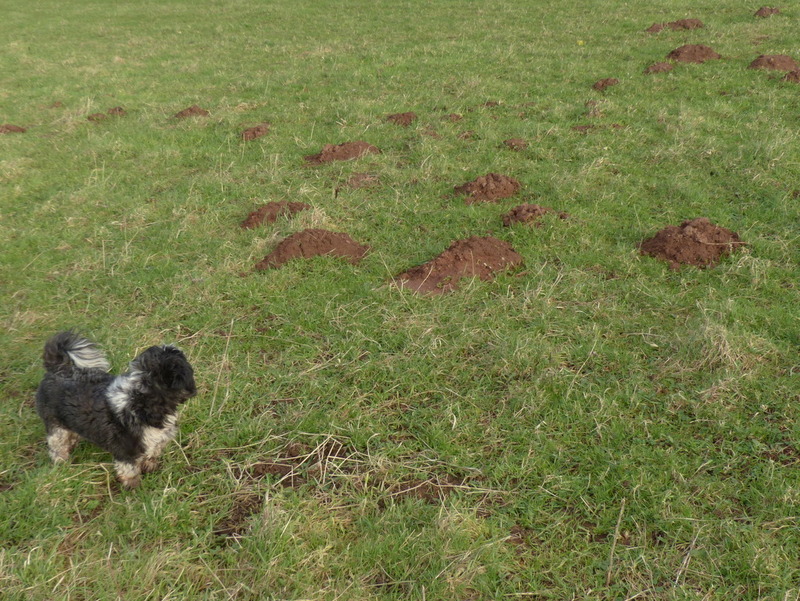 It strikes me as very reasonable to look down mole hills for sheep. Sheep are incredibly devious. I’m on Fizz’s side. Thank you Andrew 🙂 She thinks outside of the box. She did once find a Mole. I'm really sorry but your posts bring out the verse in me. This made me smile! Thank you sir! What a clever little dog. Love violets and these are very elegant. Thank you Kim 🙂 She is a clever little dog. I am drinking up your violet photos. They will help me get through January. Thanks! Figured out the issue with the subscription. Turns out I had modified the filter to archive your posts while I was traveling, and forgot to set it back. Sorry. Thank you Emilio 🙂 Glad everything is sorted. Seeing the beauty of these flowers has made it clear to me why Violet was such a popular name for girls at various periods in our histories. A lovely namesake indeed. Thank you David 🙂 Girls seem to have collared all the pretty names. Thank you Aquileana 🙂 My little reality bites cannot compare to your beautiful mythology. Did you paint little Bo peep? She matches the flowers! I love it! Thank You 🙂 Every time the Sheep get a treatment they get a different splash of paint. A red stripe on the head means this one was wormed in January, that sort of thing. So we have very colourful Sheep and nobody can remember why.